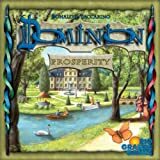 Dominion is a game about monarchs attempting to expand their kingdom buy acquiring cards. The game is played between 2 and 4 players and an average game takes between 20 and 40 minutes. Each turn the players add cards to their deck to slowly grow and to become more powerful. The deck is your Dominion. The deck starts out as small poor collection of Estates and Coppers, but on the end of the game, it will be shining with Gold, Provinces, structers of your castle and kingdom. There are 3 large piles of treasure cards: copper, silver and gold. There are smaller piles of each victory card: provinces, duchies and estates. There are 250 Kingdom Cards (10 each of 25 types). There is one placeholder card for each type of card and also a trash-pile card. On your turn, you draw 5 cards, and use the treasure cards from your hand to purchase any card on the table. Whether you buy an action card, more treasure, or a victory card, this new card is placed into your discard pile (along with every card you had drawn that turn). After some turns, your draw pile is empty, and the player will shuffle it and draw again 5 cards from it. The player can play action cards to draw more cards, attack opponents, and various other special effects. He can use his better treasures to purchase even better cards, and eventually, he will purchase victory cards. The goal of the game is to get the most Victory Points in his Deck. That player wins the game. 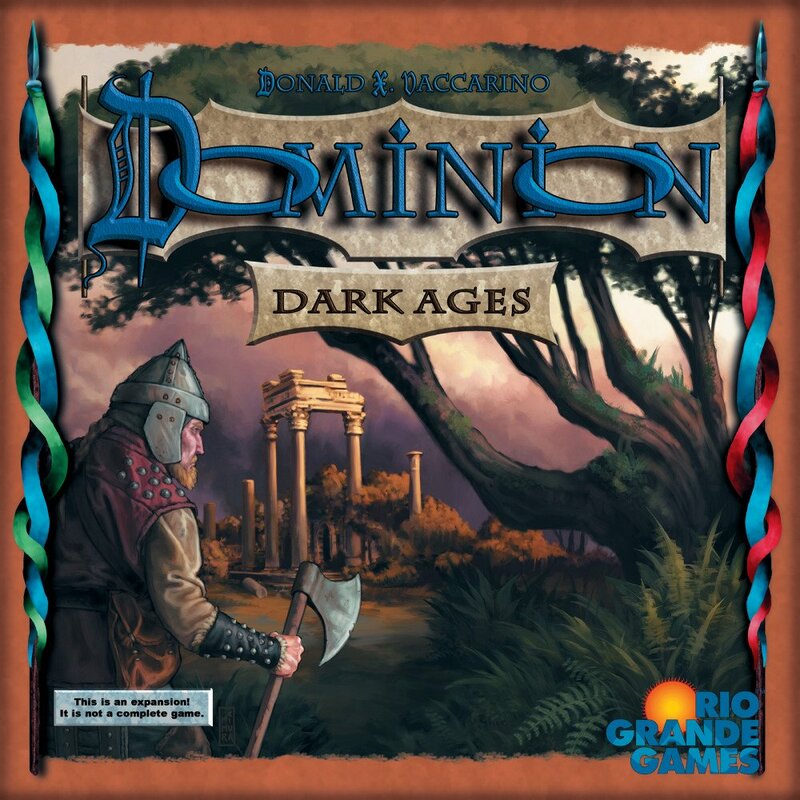 Dominion has an incredible replay value. Once you start mixing in cards from a second set, the possibilities are endless. 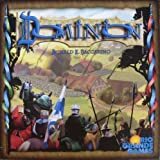 Unlike many other card games, bad luck alone will not ruin a player's chances of winning in Dominion. This is because every player starts with the same 10 card desk and everything depends on which cards he decide to buy. Also a great feature is the deck-improvement mechanic. This way, the player will feel the results of his early choices all the game long.